Comments This unique method of implementation of gem therapy has become very popular and many individuals are reaping good benefits by wearing Jyotish quality gems and not compromising on Gem quality! 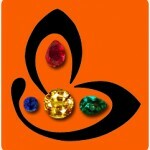 We try our best to try and empower our patrons through various methods to enable them to feel the power of gemstones! 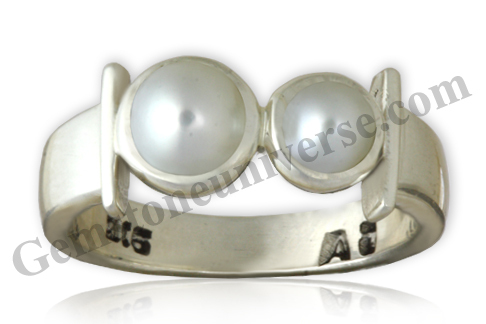 This serenely beautiful talisman with 2 Natural pearls with excellent translucence and potent lunar energies is a powerful Jyotish talisman to harness the best of the planet of the Mind and Soul – Moon!